The village stood on a plateau, overlooking a wide area on all sides but the north. A newer part of the village was built on the southeastern slope of a neighboring hill. A short secondary road linked al-Maliha to a highway leading to Jerusalem, and other secondary roads and dirt paths connected it to neighboring villages. Biblical scholars have identified this village with Manahath (Joshua 15:59). In 1596 al-Maliha was a village in the nahiya of Jerusalem (liwa’ of Jerusalem). It was known as Maliha al-Sughra and had a population of 286. It paid taxes on wheat, barley, and olive and fruit trees. Taxes were also paid on goats and beehives. Mary Rogers passed by the village in 1855 and reported that it was on the summit of a steep hill, with large kilns for preparing charcoal on the terraces below it. At that time it was the home of one of the most influential families in the Jerusalem Mountains, the al-Shaykha. As Jerusalem expanded, al-Maliha became one of its suburbs. The British surveyors who authored the Survey of Western Palestine saw al-Maliha in the 1870s and described it as a village of moderate size, standing high on a flat ridge. To the south of it, in a valley, was ‘Ayn Yalu. The village plan was rectangular, and most of its houses were built of stone. Its population was predominantly Muslim, with only about 10 Christians out of an estimated total of 1,940 in 1945. It had a public elementary school, a medical clinic, a few shops, and a village council. It also had a large mosque named after ’Umar ibn al-Khattab, the second Muslim caliph. Most of the villagers worked in rainfed agriculture and livestock breeding, but some worked in crafts, commerce, and services. Their lands were planted in grain, vegetables, and fruit. In 1944/45 a total of 1,013 dunums was allocated to cereals; 2,613 dunums were irrigated or used for orchards, of which 1,370 dunums for olives. Wild vegetation covered the slopes of the neighboring mountains, which were used for grazing. There were many rock-cut tombs in and around the village, and a ruined tower stood near the mosque. This and the artifactual evidence on the site all suggested the great antiquity of the village. The earliest attack against al-Maliha occured on 6 March 1948, according to a report in the Jaffa-based Palestinian daily Filastin. The report said merely that a Jewish unit infiltrated into the outskirts of al-Maliha and clashed with the village’s defenders; it made no mention of casualties. 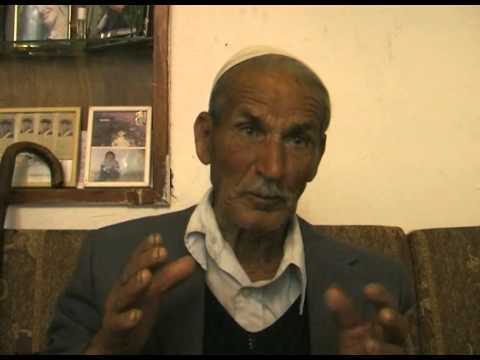 Israeli historian Benny Morris implies that the village was evacuated in two waves; the first occurred in April, as a result of the massacre in nearby Dayr Yasin on 9 April. The village was not completely emptied until mid-July, when it was directly attacked after the first truce of the war. The New York Times indicates that the Haganah began to encroach on al-Maliha on the night of 1-2 May when it extended its positions southwards from the Qatamon district of Jerusalem but the History of the War of Independence relates that the village was occupied about ten weeks later, during operations conducted around Jerusalem in conjunction with Operation Dani. Zionists established the suburb of Manachat on the village site in 1949. Many houses are still standing and are occupied by Jewish families, although a few houses on the southern side of the village have been demolished. The inhabited houses are generally two-storey structures built of limestone, with arched windows and doors. Some houses have balconies with roofs that are supported by columns and circular arches. The school building is abandoned and its classrooms are filled with refuse. Some of the village streets are wide and paved while others are narrow alleys that are interrupted at points by limestone steps. The village mosque, with its tall, round minaret, still stands in the center of the village. It is closed and in a state of neglect. The village cemetery is on the southern edge of the site. Five large tombs stand out among the smaller ones. One of the graves is open, and human bones are visible. Orchards grow on the southern and southeastern slopes and in the valleys. Parts of the Israeli Jerusalem neighborhood of Ramat Daniya surround the village site on the west and north. Displaying 1-103 of 103 results. Zochrot tour to al-Malha village (Jerusalem destrict) - 28/12/2007.